. Published on Wednesday, October 31, 2018 . It’s no secret that the ‘80s were full of some totally tubular films—but for an ‘80s movie newbie, it can be daunting to figure out where to start. From the golden age of slasher movies (“A Nightmare on Elm Street,” anyone?) to John Hughes favorites that practically pioneered the teen film genre, you honestly can’t go wrong. Nevertheless, trying to fit in a movie night amidst the hustle and bustle of daily life can be tricky, and it’s important to know you’ll be watching something that you’ll enjoy. So read on to figure out which ‘80s classic to watch if you’re a fan of any of these modern day favorites. If you found your heart swelling at the camaraderie of a ragtag group of friends a la the box office phenomenon “It” (2017), then “The Goonies” is the flick for you. Replace the creepy clown Pennywise with the criminal “Fratelli family” and you’ll get this 1985 adventure comedy. Sure, “It” falls into the supernatural horror genre, but “The Goonies” has its fair share of creepy scenes, not to mention a dead pirate and a cave full of booby traps. Musicals and dance films are about as old as the art of cinema itself, so it’s no surprise these genres have lasted the test of time. With that in mind, if you found your foot tapping and heart racing while Emma Stone and Ryan Gosling danced across the screen in “La La Land,” then “Dirty Dancing” is the perfect film for you. While the backdrop of 2017 Los Angeles may be just a smidge different from a 1980’s resort in the Catskill Mountains, these two films actually have a lot in common. From the classic enemies to lovers trope to the sheer amount of dance numbers (hey—we’re not complaining), you’ll have to do a double take because these movies might even be a little TOO similar. “Moana” and “Kiki’s Delivery Service” share more in common than critical acclaim. These coming-of-age films focus on two female leads—Moana and Kiki respectively—who are about to enter turning points in their lives. While Moana is in the process of accepting her role as chief of her village, Kiki is leaving home as a witch trainee. Both movies are family-friendly animated films featuring goofy animal sidekicks and (spoiler alert) happy endings that will leave you feeling all warm and fuzzy inside. One of the most exciting roles that the art of cinema can play is having a heavy hand in highlighting and commentating on many important social issues. “The Post” and “Do The Right Thing” are perfect examples, exploring the first woman publisher of a major American newspaper and the bigotry, racism and violence that takes place in Bed-Stuy, Brooklyn respectively. It is definitely to be noted that the struggles that the characters faced in these films are unique to their storylines and incomparable to one another, but it is undeniable that they both serve as accurate depictions of social issues that continue to be relevant in contemporary society. Both films take place amidst the backdrop of a big city and remain timeless classics that are a must-watch for all. 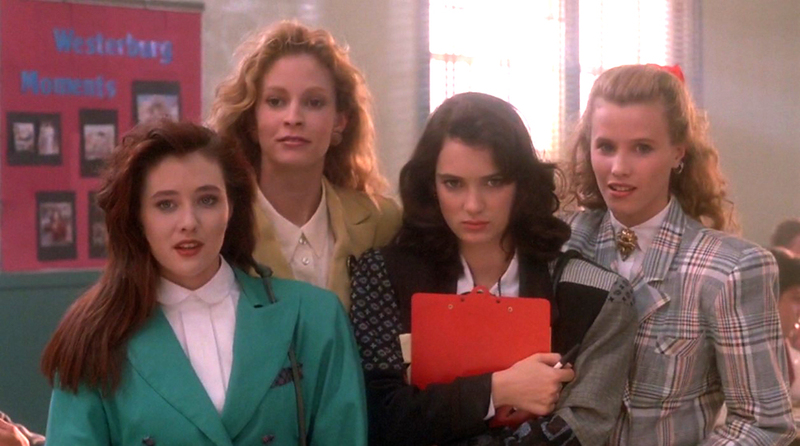 This wouldn’t be a list of ‘80s must-sees if it didn’t include a Brat Pack movie, now would it? To start off, both “Lady Bird” and “Pretty in Pink” both shed light on the very pressing issue of wealth disparity in the United States via the vessel of a high school misfit. As the films continue both lead characters fall in (and out) of love for the first time, perfectly capturing the earth-shattering effects that a high school relationship can have. Complete with prom scenes, chats with the principal and lessons about figuring out the worth of your best friends, if you’re a fan of one of these films, you’re basically an instant fan of the other. Which ‘80s movie is next on your list? Let us know using the hashtag #CampusCropChat on Facebook, Twitter and Instagram. Don’t forget to follow us on Snapchat @asicpp!